On August 7, 2008, Kellogg North American Company (“Kellogg”) filed a Notice of Opposition against a company named Sunshine City, LLC (“Sunshine”), which hosts a website called Ghetto University. See Kellogg North American Company v. Sunshine City, LLC, Opposition No. 91185683 (TTAB August 7, 2008). Kellogg's, the maker of such well-known cereals as Special K, Frosted Flakes, Froot Loops and Rice Krispies, holds a plethora of trademark registrations for the marks KELLOGG’S, the letter “K”, and SPECIAL K.
Ghetto University’s Motto is Knowledge, Respect, and Diversity. From that concept came the mark KReD. On January 30, 2007, Sunshine filed an intent-to-use trademark application for the design mark KRED for various clothing items. Kellogg’s maintains that that the use of the KRED mark in connection with goods that are directly competitive with or closely related to Kellogg’s goods [Ed. 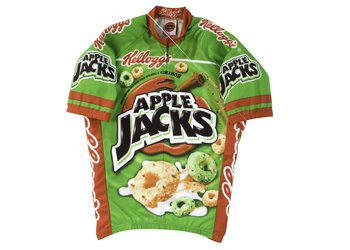 – Kellogg’s does sell various clothing items displaying its famous logos here] is likely to cause consumers to be confused as to origin and sponsorship of Sunshine’s clothing goods or misled into believe that such goods are approved of by Kellogg’s. Kellogg’s also argues that the KRED mark is likely to dilute the distinctiveness of Kellogg’s famous K mark.